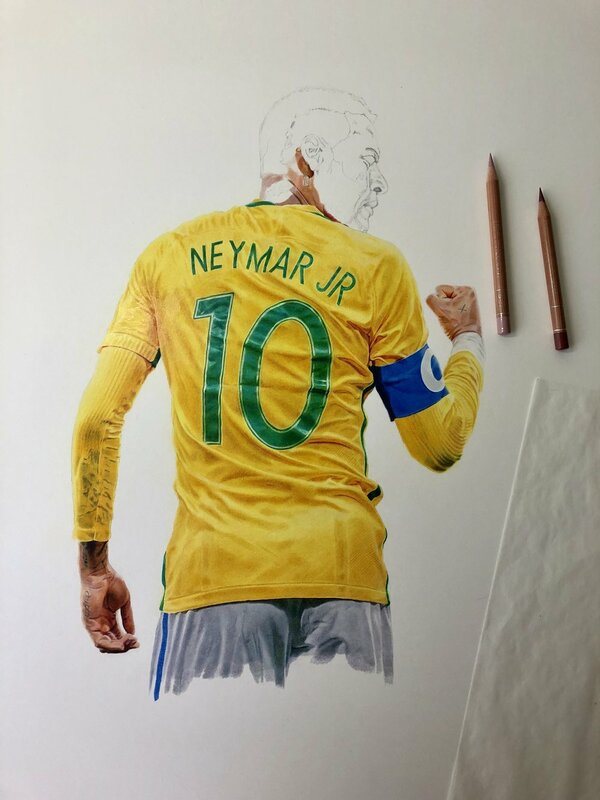 This 23” x 29” color pencil drawing of Neymar Jr. marks the first non- Warriors player in the YaniMade series, in attempts to reach a broader audience showcasing the signature art/player centered placement of the wearable print. When thinking about current global athletes who capture my imagination, and inspire me much the way, Steph, Draymond, Klay and KD do, there is a short list. 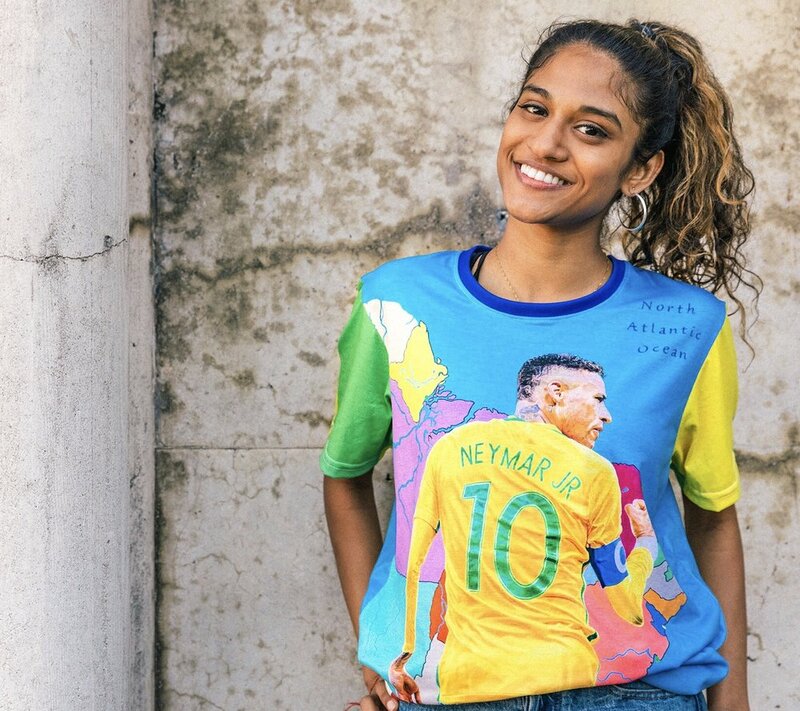 Roger Federer, Kelly Slater, Serena Williams to name a few, and of course, the Brazilian soccer legend in the making, Neymar Jr. I see some similarities between him and fellow cross sport friend and contemporary, Steph Curry. Young, flashy, crafty, and extremely skilled, while becoming a global icon for the world’s biggest sport. 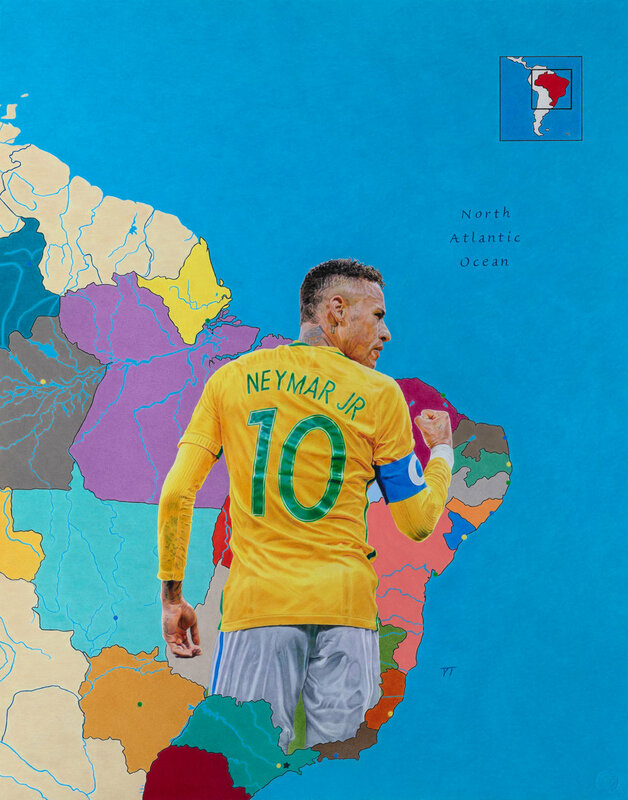 I wanted to capture Neymar in his Brazilian jersey, giving a nod to his home country, and historical soccer mecca. 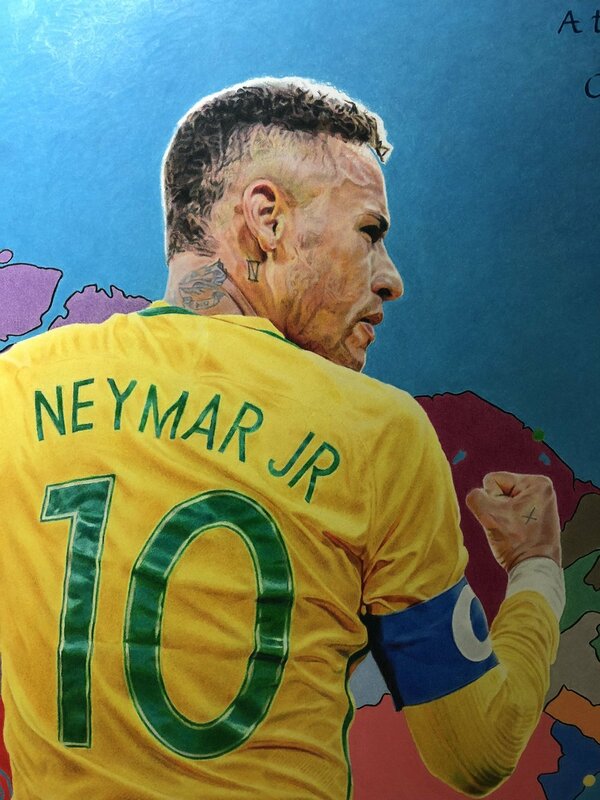 I tediously placed and hand sketched a map of Brazil around him, while centering him over his birth town of Mogi Das Cruzes, Sao Paolo. Visually, the effect is him rising from his birthplace on the map. 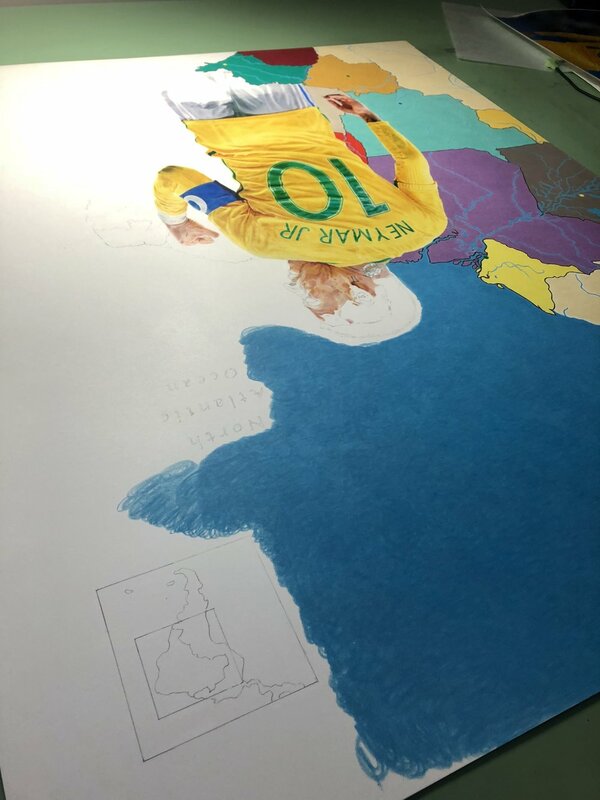 I used a variations of colors in the same family of greens, blues, yellows and reds and greys to fill the map and compliment the uniform colors, and the Atlantic Ocean. For the shirt, the map key was cropped from the front and placed on the upper back, so not be lost in the sleeves. 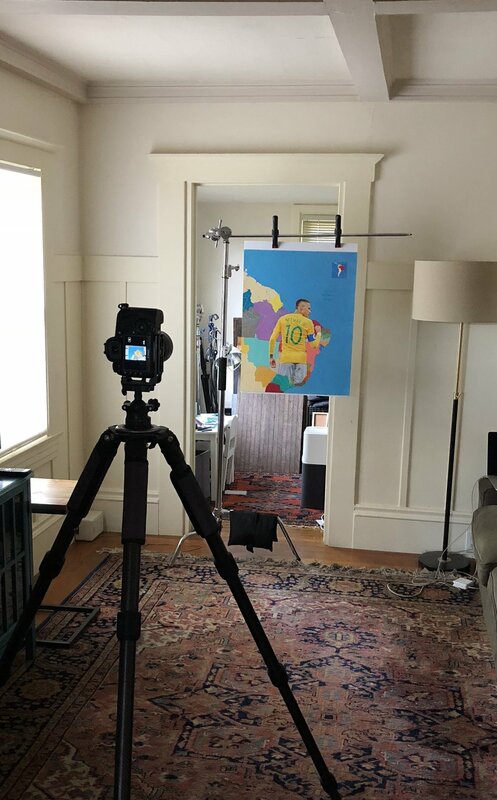 To keep in line with the YaniMade theme, there were horizontal and vertical considerations and challenges in the original artwork in order to get ideal placement on the tee template, so that when worn, Neymar shows best on the torso. It will be limited edition, artist numbered to 250 tees, ships anywhere in the world. Release is 3/15.